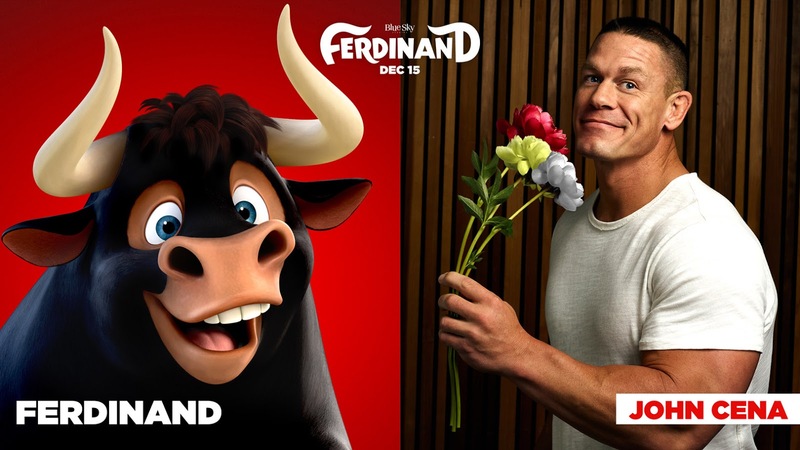 WWE superstar John Cena takes on the form of a friendly bull in Blue Sky Studios’ “Ferdinand.” From blockbuster toonmaker Carlos Saldanha, who also helmed global hits “Ice Age” and “Rio” comes the story of a beast with a big heart in “Ferdinand,” based on the story of a classic children’s book by Munro Leaf illustrated by Robert Lawson. Cena, in recent interviews clearly relates to his character – big but hesitant to fight. “He's a peaceful bull, people think he's a fighter because he's a big bull,” said Cena. A Blue Sky Studios and 20th Century Fox presentation distributed by Warner Bros. - “Ferdinand” opens in cinemas (Phils.) on January 8, 2018 and will also be available in 3D screens.